TINT and 'Enter the Now' have joined forces to bring you an interesting lunch lecture to feed your soul. Everyone has a relationship with Infinity. We can literally create our own reality depending on which Level of Energy we are attuned to. Juul van Geleuken will enlighten you in this philosophy created by author Frederick Dodson. Create some headspace at the beginning of a new quartile and join us! Date: 24th of April, 12:30 till 13:30. In the current age of innovation and rapid change, sometimes it can be easy to get lost in busy schedules. The demand to solve daily challenges in an almost non-stop world can make people forget why they start a career in the first place. On average, people now spend 50 years of their life at work! So, beyond the paycheck, what does your work mean to you? What would be your perfect inspiring job? TINT is hosting our annual International Dinner under the theme "Meaning of Your Work" on Wednesday, May 1st. We kindly like to invite students and employees of TU/e, Fontys and Design Academy, companies and other participants from the Eindhoven community to join us in an inspiring evening. Everyone will have the chance to get to know each other at a delicious meal, whilst sharing experiences and interesting conversations. Also, two engaging speakers will provide powerful insights into the topic: Jeroen ter Brugge, philosophical coach specialized in quarter life crisis and Mariëlle Obels, a career architect and trainer specialized in working with Internationals. The night will be complete with an amazing live jazz band from Student Jazz Association StudentProof. Add visual communication to your professional skills set and boost your study performance! In today's collaborative world, which involves working in a multicultural setting and different work approaches, communication is key! Visual communication is a powerful tool because simplifies the message and increases memory retention. Therefore, Visual storytelling is increasingly being used in organisations and companies to support projects by ensuring that the message is conveyed in an intuitive manner and understood by all. 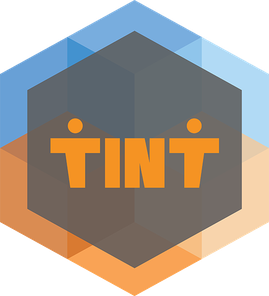 TINT invited Curious Piyuesh to teach you a a new way of presenting complex and abstract topics. Everything can be transformed into an exciting visual story from course annotations to your future dreams. The workshop will comprise several hands-on drawing exercises but don't worry because no previous drawing experience is required. Curious Piyuesh will start from the basics to amazing new presentation possibilities and storytelling strategies. TINT and 'Enter the Now' have joined forces to bring you some mindfulness during the busy times of exams week. Take a break from your studies to join a short meditation session during lunchtime (12:30 - 13:30). The meditation session will be guided by 'Enter the Now' to inspire you for productive study time. Join us and Relax your mind! Be inspired for exam success! Date: 17th of April, 12:30 till 13:30. Our usual office hours are on Tuesday, Wednesday and Friday. Please mail us to make an appointment. Share TINT in you network!